All classes, dates, and times are subject to change. We reserve the right to cancel any live course due to lack of registration. If Host Group cancels a session the student will be notified in advance and will be entitled to a full refund or transfer into another class. If a student begins the Live class and decides to switch into the live-streaming class (or decides to switch with less than 48 hours before the start of the session), there is a $45 transfer charge. Fees must be paid prior to receiving a link to the virtual classroom. We offer a Lifetime Audit Policy for review purposes, so any former Host Group student can audit the same course for free in part or in full (subject to seat availability; advanced reservations required). Auditors are guaranteed a spot in the Online Distance Programs; seats in the live class are only available in non-sold out sessions and availability will be confirmed no less than 48 hours' ahead of the class start date Auditors must bring their original textbook and handouts. If you register to audit a class then cancel with less than 24 hours notice, you waive your right to audit any future class for free. If you are not satisfied with your experience at Host Group, we will give you a full refund of your tuition. Please note that even though we offer a Lifetime Audit Policy, the State of Massachusetts does require you to re-take the entire 40 hour class again if you have taken longer than 2 years after completing the course to pass your exam. If you are re-taking the class after 2 years, we offer a 50% discount for returning students. Classes will run the full amount of time and students will not be dismissed early. Class hours are mandated by the Commonwealth of Massachusetts, so students will not receive credit for the class if they do not complete the full number of hours. It is the responsibility of the student to make sure sign-in and sign-out are completed in order to receive full credit for attendance. If a final in-class examination is required, students must pass with 80% or above before they will receive proof of completion (applicable to live and online classes). If a student needs to withdraw from a class, they must notify the school no later than four business days before the start of class in order to receive full refund. For cancellations that are made in less than four days before the start of class, the school will retain 50% of tuition. Transfer requests made outside of the four day cancellation period will be subject to a $30 rescheduling fee and all balances must be paid prior to reserving a seat in a future live class. Failure to show up at class or alert the school within 24 hours of the start of class will result in a full forfeiture of your tuition. All Refunds will be processed within 30 days from the day of that particular class start date. Credit card refunds can take between 7-10 days to credit your accounts, according to our Merchant Processing Companies; please wait the full period before contacting us to follow up. We will email you proof of credit, as standard policy. It is at the sole discretion of Host Group to consider modification of any of our cancellation/refund policies to fit unique circumstances. Students receive one complimentary schedule transfer; additional transfers are subject to a $10 transfer fee. No-shows and late cancellations (less than 24 hours notice) for live and video students are also subject to a $10 rescheduling/ late cancellation fee. “No-Show” includes late cancellations (less than 24 hours) OR not showing up at all OR arriving 30+ minutes late for your scheduled time. All fees must be paid prior to course completion and a certification booklet will NOT be issued until all account fees are paid. All transfers are subject to seat availability. Rescheduling: If a student needs to reschedule a class, we request that they notify the school no later than four business days before the start of the session. Failure to show up at class will result in a full forfeiture of your tuition and right to transfer. Making Up Hours: Class hours are mandated by the Commonwealth of Massachusetts, so students will not receive credit for the class if they do not complete the full number of hours. If you need to miss a portion of a class, please let us know in advance and contact us at info@hostgroup.us to schedule a time to make up the hours. Make-up sessions are based on availability and will either take place in another session or during office hours and all fees must be paid prior to being transferred into a makeup session. It is at the sole discretion of Host Group to consider modification of any of our rescheduling/make-up policies to fit unique circumstances. Textbooks will be handed out on the first day of class; textbooks cannot be returned and are not eligible for refunds or exchanges. If you have received advance materials via email then cancel your registration, Host Group will charge you for the materials, as our materials are proprietary in nature and are intended for our paying/attending students. Our Salesperson and Brokers courses materials retail for $52.00, and Mortgage Pre-licensing materials start at $65.00; all prices subject to change. If a Real Estate Salesperson or Broker candidate loses their MA Exam Handbook, they will be charged $30.00 for a replacement book (plus shipping). Students who purchased Host Group Real Estate vouchers through social buying websites such as LivingSocial, GroupOn, or Boston Deals are subject to the policies defined by these third party suppliers. LivingSocial will provide a refund if you change your mind within five days after you've purchased your voucher and want to 'return' the unused voucher. After that, LivingSocial will not provide refunds except that they will provide a refund if you are unable to redeem a voucher because the merchant has gone out of business. Host Group's standard policies for cancellation do not apply; if we receive advance notification that you cannot attend a session we will attempt to transfer you into another session to complete the required hours (40 Hours), subject to seat availability within the voucher deadline. Host Group will not refund any Social Buying vouchers. Seat reservations using these vouchers are based on availability and are not guaranteed. All course hours must be completed by the deadline on Social Buying voucher. Each outstanding class session is subject to a $20 rescheduling fee after the voucher deadline. We are currently not offering a payment plan; please check back soon. All tuition costs are subject to change. There will be a $35 service charge for returned checks. No tape recorders or video cameras are allowed in the classroom. There is a No-Refund and No-Exchange Policy once a student has logged on to an Online Course, or a CD-ROM Course has been opened. The exception is the CD-ROM Pre-Licensing 20 Hour Comprehensive SAFE Course of 20 Clock-Hour Course. Should a student decide within 3 months of purchasing the course he/she would prefer Host Group Real Estate Academy’s Live Instruction for Pre-Licensing, student may return the CD-ROM to Host Group and, if purchased the same day as the return, student will receive a $90 discount on our Host Group Live Instruction Program. Return shipping will be at the student's expense. Although most students will complete a renewal course within a shorter time period, students have 12 months in which to complete each of our Distance Education courses. On the rare occasion that the State may pull approval of a certain course before the student has completed the course, our staff is not required to notify the student of same, and when contacted by the student, our staff will do our best to work with the student by allowing a discount on a subsequent course. Distance education courses include instructional support by Host Group instructors and students may feel free to contact him about course content between 9:00am – 4:30pm Monday through Friday. Instructors will return the call as soon as possible. A majority of our live classes sell out, so we strongly recommend advanced reservations. Your seat in class is not confirmed without a paid registration. If you are added to the wait list for a class, you are not guaranteed a seat in that session; we will only contact you if a seat becomes available. Host Group does not have regular office hours, so walk-in visits are not recommended; if you need to speak with a staff member, please call/email us and we'll be happy to help you. State exam registration and fees are the student’s responsibility and are completely separate from Host Group Real Estate Academy. A handbook will be distributed on the first day of class with more information. The school reserves the right to deny further class attendance to any student whose behavior is disruptive and interferes with the learning process. This includes the use of cell phones or other electronics, as well as outside reading materials. No taping or audio/visual equipment is allowed in class at any time. Smoking is not allowed in the classroom or building at any time. There will be periodic breaks during the session so that those who wish to smoke may use designated areas outside the building. Students are expected to obey the rules of the building where classes are held. Parking arrangements and fees are the sole responsibility of the student. If a mail order is received before 2:00pm on a Business day, it will be shipped the same day. Orders and payment received after 2:00pm will be sent out the following business day. Orders are shipped via US Mail. For an additional fee we will ship materials by next day or 2nd day service. Express orders must be received by 12:00pm to be delivered the following working day. Call 800-918-5240 for details. The school will not close due to inclement weather. If you need to withdraw from a class due to weather issues, you must alert the school no less than 24 hours before the start of class in order to transfer into another class of equal value. Failure to alert the school within 24 hours of the start of class will result in a full forfeiture of your tuition. Please feel free to contact us for more information about Host Group Real Academy. Thank you for trusting us for your educational needs! • The system can only be accessed in the classroom with a licensed instructor present. • You have 12 weeks to complete the course from your initial payment. For each 12 week extension, you will be charged $50. • Registration is not transferrable. The student who registered is the only person who can sign in to the account. • Photo ID required each time you check in. • We’ll allow one “complimentary” no-show, and will charge $10 for each additional no-show. All fees must be paid prior to course completion. • Refunds are only available within 48 hours of initial payment, and only if you haven’t started the course yet. No refunds are available for 2nd and 3rd installments of payment plan. All Refunds will be processed within 30 days from the date of refund request. We will email you proof of credit, but credit card refunds can take between 7-10 days to credit your accounts, according to our Merchant Processing Companies. It is at the sole discretion of Host Group to consider modification of any of our cancellation/refund policies to fit unique circumstances. • The course portal and all material presented and shared in this course is proprietary information. Video and audio recording, as well as photography, is strictly prohibited. • Textbooks will be handed out on the first day of class; textbooks cannot be returned and are not eligible for refunds or exchanges. Our Salesperson/Broker course materials retail for $52.00; all prices subject to change. If a Real Estate Salesperson or Broker candidate loses their MA Exam Handbook, they will be charged $50.00 for a replacement book. • State exam registration and fees are the student’s responsibility and are completely separate from Host Group Real Estate Academy. A handbook will be distributed on the first day of class with more information. • The school reserves the right to deny further class attendance to any student whose behavior is disruptive and interferes with the learning process. This includes the use of cell phones or other electronics, as well as outside reading materials. No taping or audio/visual equipment is allowed in class at any time. Smoking is not allowed in the classroom or building at any time. There will be periodic breaks during the session so that those who wish to smoke may use designated areas outside the building. Students are expected to obey the rules of the building where classes are held. Parking arrangements and fees are the sole responsibility of the student. This privacy statement covers the Web site www.HostGroup.us and www.BackBayREA.com. It is the express goal of Host Group Real Estate, LLC. to demonstrate our commitment to our users’ privacy. Host Group Real Estate, LLC. You can reach us by telephone at 800-918-5240. Host Group Real Estate, LLC. is the sole owner of the information collected on www.HostGroup.us and www.BackBayREA.com. Host Group Real Estate, LLC. collects information from our users at several different points on our Web site. In order to take courses offered on this Web site, a user must first complete the registration form. During registration a user is required to give contact information such as name and email address. We use this information to ensure that the user receives credit with state licensing agencies for the continuing education courses completed. Host Group Real Estate, LLC. may also use this information to contact the user about services on our site. In order to take our courses, the user must provide unique identifiers (such as user name and password). A social security number is required, as many states use this as a real estate license number. We request information from the user on our order form. A user must provide contact information (such as name and email) and financial information (such as credit card number and expiration date). This information is used for billing purposes and to fill customer’s orders. If we have trouble processing an order, the information is used to contact the user. The information we collect is used for several purposes. It is used to provide users with confirmation of and proof of credit for the courses taken on Host Group Real Estate, LLC. In many instances information is used to confirm completion of the course(s) with state licensing agencies. The information is also used improve the content of our Web site and to notify consumers about updates to our Web site. From time to time, Host Group Real Estate, LLC. uses information volunteered by Web site visitors to deliver email messages regarding special offers on our courses. Each such message contains a clear link to an opt-out utility. All opt-out requests are handled in a timely manner. A cookie is a piece of data stored on the user’s computer tied to information about the user. Usage of a cookie is in no way linked to any personally identifiable information while on our site. 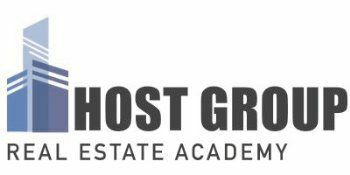 Host Group Real Estate, LLC. sets a single persistent cookie at the time the user registers on HostGroup.us/BackBayREA.com. A persistent cookie is a small text file stored on the user’s hard drive for an extended period of time. Persistent cookies can be removed by following Internet browser help file directions. By allowing Host Group Real Estate, LLC. to set a cookie on users’ computers, users will not have to log in a password more than once, thereby saving time while on HostGroup.us/BackBayREA.com, and will be able to participate in our courses. If users reject the cookie, they may still use our site. The user, however, may be limited in some areas. Like most standard Web site servers we use log files. This includes Internet protocol (IP) addresses, browser type, Internet service provider (ISP), referring/exit pages, platform type, date/time stamp, and number of clicks to analyze trends, administer the site, track users’ movement in the aggregate and gather broad demographic information for aggregate use. IP addresses and other log file information is not linked to personally identifiable information. Host Group Real Estate, LLC. does not permit third party advertising on www.HostGroup.us and www.BackBayREA.com. We use a credit card processing company to bill users for Host Group Real Estate, LLC. This company does not retain, share, store or use personally identifiable information for any secondary purposes. Information confirming users’ completion of Host Group Real Estate, LLC. courses is sent to the following states, only for users residing in those states: Massachusetts. In the event Host Group Real Estate, LLC. goes through a business transition, such as a merger, being acquired by another company, or selling a portion of its assets, users’ personal information will, in most instances, be part of the assets transferred. We send all new members a welcoming email to verify password and username. Established members may occasionally receive information on products, services, and special deals. Out of respect for the privacy of our users we present the option to opt out of receiving these types of communications. Please see the Choice and Opt-out sections. On rare occasions it is necessary to send out a strictly service related announcement. For instance, if our service is temporarily suspended for maintenance we might send users an email. Generally, users may not opt-out of these communications, though they can deactivate their Lee Institute, Inc. account. These communications are not promotional in nature. Users who no longer wish to receive our promotional communications may opt-out of receiving these communications by clicking on an opt-out link in all promotional emails. Users may also unsubscribe from these services, and/or be removed from our database completely, by sending us an email at the addresses provided above, by sending a postal mail at the addresses provided above, or by calling us at the telephone number provided above. This Web site contains links to other sites. Please be aware that we, Host Group Real Estate, LLC., are not responsible for the privacy practices of such other sites. We encourage our users to be aware when they leave our site and to read the privacy statements of each and every Web site that collects personally identifiable information. This privacy statement applies solely to information collected by this Web site. If a user elects to use our referral service for informing a friend about our site, we ask them for the friend’s name and email address. Host Group Real Estate, LLC will automatically send the friend a one-time email inviting them to visit the site. Host Group Real Estate, LLC. stores this information for the sole purpose of sending this one-time email and tracking the success of our referral program. The friend may contact Host Group Real Estate, LLC. via email at the addresses provided above, by sending us postal mail at the addresses provided above, or by calling us at the telephone number provided above to request the removal of this information from our database. Please keep in mind that whenever you voluntarily disclose personal information online – for example on message boards or through e-mail – that information can be collected and used by others. In short, by posting personal information online that is publicly accessible, you may receive unsolicited messages from other parties in return. This Web site takes every precaution to protect our users’ personal information. When users submit sensitive information via the Web site, their information is protected both on line and off-line. When our registration/order form asks users to enter sensitive information (such as credit card number), that information is encrypted and transmitted via a secure server. Our secure socket layer (SSL) software is the industry standard and among the best software available today for secure commerce transactions. It encrypts all of your personal information including credit card number, name, and address, so that it cannot be read as the information travels over the Internet. Host Group Real Estate, LLC. also does everything in its power to protect user-information off-line. All of our users’ information – not just the sensitive information mentioned above – is restricted in our offices. Only employees who need the information to perform a specific job (for example, a billing clerk or a customer service representative) are granted access to personally identifiable information. Furthermore, ALL employees are kept up-to-date on our security and privacy practices. On at least an annual basis, and any time new policies are added, our employees are notified and/or reminded about the importance we place on privacy, and what they can do to ensure that our users’ information is protected. Finally, the servers that store personally identifiable information are in a secure environment. Upon request we provide Web site visitors with access to financial information (e.g., credit card account information) that we maintain about them, unique identifier information (e.g., customer number or password) that we maintain about them, transaction information (e.g., dates on which customers made purchases, amounts and types of purchases) that we maintain about them, contact information (e.g., name, address, phone number) that we maintain about them, as well as a full description of information that we maintain about them. Consumers can access this information by sending an e-mail to the above address, calling us at the above telephone number, or by writing to us at the above address. Upon request we offer Web site users the ability to have inaccuracies corrected in contact information, financial information, unique identifiers and transaction information. Consumers can have this information corrected by sending us e-mail at the above address, calling us at the above telephone number, writing to us at the above address. If our information practices change at any time, Host Group Real Estate, LLC. will contact users whose personal information we maintain, before we use such data for any new purposes. All such users will be notified of the policy change and provided a clear and convenient opportunity to opt out of the new practices. The personal information of users who do not opt out of the new practices will be subject to the new practices. If users have opted out of all communication with the site, they will not be contacted, nor will their personal information be used in this new manner. Users may also prevent their information from being used for purposes other than those for which it was originally collected by sending a postal mail to the addresses provided above, or by calling us at the telephone number provided above. HOST GROUP REAL ESTATE, LLC., A BACK BAY REAL ESTATE ACADEMY ( Herein known as HOST GROUP) makes no representation or warranty of any kind (express, implied or statutory) in relation to this website or its content and HOST GROUP excludes (to the extent permitted by applicable law) all such warranties. The content contained on this website is provided for general information only, any advice or information received through this website or its content should not be relied upon as being correct or accurate. It is your obligation to verify independently such matters from primary sources of information and by taking specific professional advice. You must not rely on the content or associated service of this website to do this for you. HOST GROUP presents the information on this website as a service to its members and other Internet users. While the information on this site is about legal issues, it is not legal advice. Moreover, unless expressly stated, views and opinions expressed herein have not been approved by HOST GROUP and do not necessarily represent the policy of HOST GROUP. In addition, due to the rapidly changing nature of the law and our reliance on information provided by outside sources, we make no warranty or guarantee concerning the accuracy or reliability of the content at this site or at other sites to which we link. Links are provided as a service, but HOST GROUP does not intend links to be referrals or endorsements of the linked entities. HOST GROUP does not guarantee the performance or the availability of the website at a particular time or for a particular purpose. HOST GROUP also does not guarantee, represent, or warrant that the website will be error-free, free of any viruses or other harmful components, or that any errors or defects in the website will be corrected. HOST GROUP reserves the right in its exclusive discretion at any time without notice to amend, limit, modify, suspend, or terminate the website. All rights are reserved. The content of this website is copyrighted and may be reproduced in any form including digital and print for any non-commercial purpose so long as this notice remains visible and attached hereto. To the extent permitted by law, HOST GROUP excludes all liability in contract, tort (including negligence) breach of statutory duty or otherwise for any costs, losses, claims, damages, expenses or proceedings (including special, incidental or consequential loss or damage, loss of profits and wasted management time) incurred or suffered by you arising directly or indirectly in connection with this website and its content including any loss, damage or expense arising from, but not limited to, any defect, error, imperfection, fault, mistake or inaccuracy with this website, its content or associated services or due to any unavailability of part or all of the website or any content or associated services. This website contains material submitted and created by third parties. HOST GROUP excludes all liability for any illegality arising from error, omission or inaccuracy in such material and HOST GROUP takes no responsibility for such material. This website also contains links to other websites which are not under the control of and are not maintained by HOST GROUP. HOST GROUP makes no warranty or representation as to the accuracy completeness or fitness for purpose of any material on these sites. HOST GROUP provides these links for your convenience and does not necessarily endorse the material on these sites. In the event you purchase or obtain goods or services from a third party then your acquisition of such goods or services will be in accordance with the third party's terms and conditions and HOST GROUP will have no liability to you in respect of the same. HOST GROUP does not represent or warrant (and excludes such representations and warranties to the extent permitted by law) that any e-mails from this website will be sent to you or received by HOST GROUP. Nor does HOST GROUP warrant the privacy and/or security of e-mails during internet transmission. necessarily state or reflect the views of HOST GROUP. Publication on this website should not be considered an endorsement. HOST GROUP and its employees do not express or imply any warranty or assume any legal liability or responsibility for the accuracy, completeness, or usefulness of any information on this website. HOST GROUP will not be held liable for any direct or indirect loss or damage arising under this disclaimer or in connection with our website. By using our website, you accept this disclaimer in full. The information on this website is the property of the HOST GROUP. HOST GROUP are the owners of all intellectual property rights in relation to this website and its content (including, but not limited to, all trademarks and copyright). In relation to any information or materials submitted to HOST GROUP c using this website, you grant HOST GROUP a world-wide royalty free perpetual license of the intellectual property rights in such information or materials for any purpose it deems including, without limitation, the copying, transmission, distribution and publication thereof, unless restricted by applicable law. FUSE INSTRUCTOR 624 (Herein known as FUSE), is Head Instructor for Host Group Real Estate, LLC. All opinions expressed by FUSE in "Host Group TRAINING COURSES" are his own and do not reflect the opinions of HOST GROUP REAL ESTATE, LLC. or its affiliates, or their parent company or affiliates. FUSE’s opinions are based upon information he considers to be reliable, but neither HOST GROUP, nor their affiliates and/or subsidiaries warrant its completeness or accuracy, and it should not be relied upon as such. FUSE’s statements are based on his opinions at the time statements are made, and are subject to change without notice. No part of FUSE’s compensation from HOST GROUP or it’s affiliates or Parent Companies is related to the specific opinions expressed by him in “ FUSE’s INSTRUCTIONAL METHODS." None of the information contained in " FUSE’s INSTRUCTIONAL METHODS " constitutes a recommendation by FUSE, or HOST GROUP that any particular security, portfolio of securities, transaction, or Real Estate investment strategy is suitable for any specific person. You must make your own independent decisions regarding any security, portfolio of securities, transaction, or Real Estate investment strategy mentioned on the program. FUSE’s past results are not necessarily indicative of future performance. Neither FUSE, nor HOST GROUP, guarantees any specific outcome or profit, and you should be aware of the real risk of loss in following any strategy or investments discussed on the program. The strategy or investments discussed may fluctuate in price or value and you may get back less than you invested. Before acting on any information contained in the program, you should consider whether it is suitable for your particular circumstances and strongly consider seeking advice from your own financial or investment adviser. DISCLAIMER: You should use your common sense and not treat any opinion expressed by the host or guests of HOST GROUP REAL ESTATE, LLC. COURSE CATALOG as a specific inducement to make a particular investment or follow a particular strategy, but only as an expression of opinion. Show host and guest opinions are based upon information considered reliable, but do not warrant its completeness or accuracy, and it should not be relied upon as such. Statements and opinions are subject to change without notice. Past performance is not indicative of future results. Neither HOST GROUP REAL ESTATE, LLC. nor its host or guests guarantees any specific outcome or profit. You should be aware of the real risk of loss in following any strategy or investment discussed on this or on any show or this website. Strategies or investments discussed may fluctuate in price or value. Investors may get back less than invested. Investments or strategies mentioned on this show or this website may not be suitable for you. This material does not take into account your particular investment objectives, financial situation or needs and is not intended as recommendations appropriate for you. You must make an independent decision regarding investments or strategies mentioned on the show. Before acting on information on the show, you should consider whether it is suitable for your particular circumstances and strongly consider seeking advice from your own financial or investment adviser. •Smoking is prohibited in all areas of the building. •Food and beverages are prohibited in seating areas. •Animals are prohibited in all areas except dogs assisting persons with disabilities, and as required on stage for events. •Audio and video recording devices and the taking of photographs during a performance is prohibited except with written permission from Host Group Real Estate, LLC. •Persons not directly related to the production are not allowed in the control, observation or projection booths during rehearsals or performances except with permission from Host Group Real Estate, LLC. General Manager, Director of Operations, Production Manager, or a designated representative of the production staff. No reproduction, public reading or performance of this play is allowed without explicit written permission from the author.